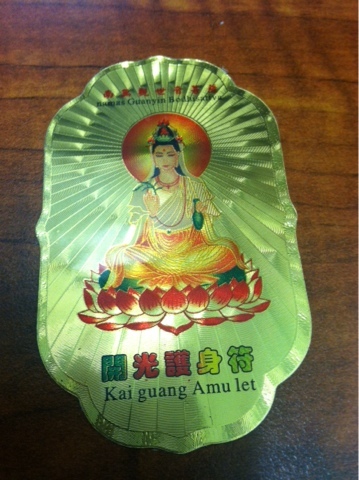 A monk on the streets of Jamaica Queens tried to get $20 for a wrist Mala, but for a lesser donation I was given this amulet that has an image of Kuan Yin, that supposedly helps with work and lifetime peace. I gave to Anandi. I read later that they may be fake monks. My errors in life, have often come at times when I wander away from my intensions because I haven't been meditating. I don't consciously think about what is important to me when I'm following the breath, but when the noise of life dies down in meditation, there's an inner voice that can be heard, I see more pure vectors of action, my brain just produces better fixes for my behavior and intension. The famous cliche that the road to hell is paved with good intensions points out that actions are pay dirt, and that often times intensions only get you so far. I am an unintegrated person who has cross currents and undertow. So many times I set out to do one thing, and do another. And quoting Whitman about being larger, and containing the multitudes has become an excuse for me, not in the spirit of inclusiveness that Whitman intended. I think it points out that psychology isn't always consistent. Even so integration and integrity are something that just naturally happens when you meditate frequently. It's one of the many benefits--and I don't need science to articulate them for me, thank you, I know they are there, I have that confidence. And yet sometimes I don't have a regular meditation practice. Why don't I always act in my own best interest? I have that book on my shelf, Menninger's Man Against Himself. It's a very evocative title for me, I see in myself and other self confounding behaviors all the time. The Buddha's Wife: The Path of Awakening Together is a fascinating book. I've read speculative books before, one where Thomas Jefferson was counseled by a Buddha like figure. That book felt a little forced. The Buddha's Wife feels more necessary. There is a kind of anachronism, even though it is necessary for our time, it doesn't feel like it was necessary for that time, even though it's written in the style of the ancient texts. And what a wonderful thing that it has become needed in our time. We live in a time of multiple narratives, not just one. We live in a time where the female is valued as much as the male in most people's minds. There is no such thing as blasphemy in Buddhism. The worst that can happen is that this book would be ignored. I've often felt that modern texts have a sutra in the future feel to it. Most recently I felt Joan Halifax's book (The Fruitful Darkness: A Journey Through Buddhist Practice and Tribal Wisdom ), but I also think the The Essential Sangharakshita: A Half-Century of Writings from the Founder of the Friends of the Western Buddhist Order also had that feel. I don't quite feel that with The Buddha's Wife. But I still feel like it is an important book. Why can't you get enlightened in relationships? Why do you need to seek solitude. In Reginald Ray's book Buddhist Saints in India: A Study in Buddhist Values and Orientations he discusses how monastics preserve the tradition and it's possible they leave out non-monastic paths. The Buddha's Wife points out a similar discrepancy that being with and in relationships is also valued, and not solitude. The women's side of the story of enlightenment. Or even, is there a path that doesn't hurt others? Many people think the legend of the Buddha is apocryphal, that he was always spiritual and that he was not a prince or married or fathered a child. The clang in the story of the compassionate one is part of why it doesn't fit. Or maybe that's a modern projection as others suggest. Even so Yashodhara becomes an arhat, what is her story? The Teragatha is a lovely collection of female stories, but there is no poem on Yashodhara. You can find it on line also here. Neither are complete. I read a hard copy while on retreat at Aryaloka from their library. Pajapati was the Buddha's step mother, and she has a teragatha. Male identity is forged often in rituals that hurt the young man, and he can't go cry to his mommy. I'm hoping that is changing some and that males can be in relationship while they mature. The days of the solitary stoic hunter are gone, in our overpopulated postmodern civilization, being in relationship is important. The lone wolf is extinct in many ways. Sometimes when people bring out new laws, people often say that the old laws imply what people want written into law. Does not the third jewel sangha imply the "right relationship" that the authors suggest is the 8th part of the path? Maybe but it's worth highlighting and exploring something that is applicable to modern existence. You can see in a way that if the Buddha lead these women to enlightenment they might forgive him of the pain in the past. The ends justify the means. I don't usually think that is true, but I'm willing to make an exception in this one case. Perhaps right relationship is something so obvious that it doesn't need to be commented on, and is cover in the other precepts. Sometimes something important is assumed and not even articulated in a culture. In ancient times I imagine people to be more connected. Technology hasn't alienated and isolated them. 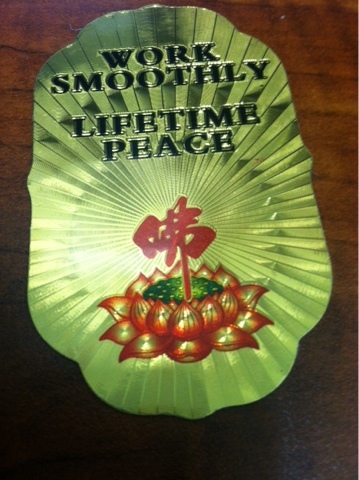 The suggestion was that to subtract the Buddha from his son's life, would not be as serious as it would have been now. In the modern nuclear family, there are perhaps unnatural pressures on the mother and father to be the be all end all. Aunts, uncles, grandparents, cousins, friends of the family are all lost in the modern nuclear family. Even so, you can't say subtraction is negligible, and the unspoken grief of Yashodhara is seen and heard in this narrative. The authors are of note. Janet Surrey is a clinical psychologist with ties to the Stone Center. Sam Shem wrote House of God, about the internship of a doctor, a book I read when my friend was going through it. I'm only on page 28 but those are my thoughts so far on this wonderful book. Because this is a personal blog, I don't write necessarily polished finshed-the-book reviews, instead I express myself on the journey of reading, as the thoughts come up. A kind of book review in process, a little more messy but a little less constricted. I used to love reader responses when I was in school.